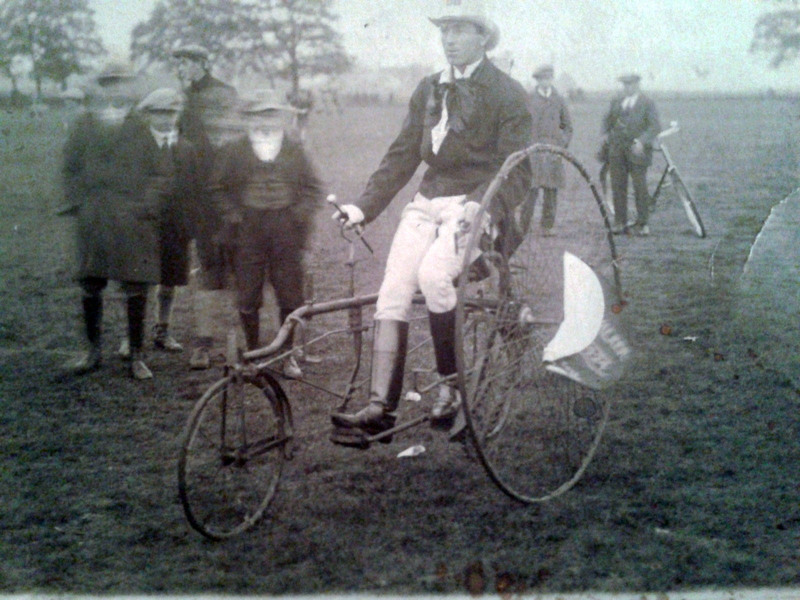 John (Jock) Bayne on Tricycle. – The Fife Post………..for genealogy and historical information. A reader has asked for information on this excellent photograph. I was wondering if anyone tell me anything about this photo? Do you think it’s a fair/competition? 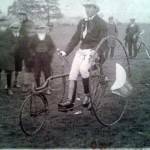 The gentleman on the cycle is John (Jock) Bayne who was born in 1899, he was my great uncle. He lived/was born in Pitlessie. His parents were Ellen Bayne (nee Speed) and Alex Bayne. His sister, Nell Boucher lived most of her life in Pitlessie. My grandmother was Mary Johnston Henderson (Bayne). I hope you find it interesting. I instantly thought of the famous painting by Sir David Wilkie called Pitlessie Fair which was held annually in May but the painting was dated 1805. I cannot tell you if the fair continues to this day or not perhaps someone will tell us when I put it online. The tricycle is a Coventry Rotary Tricycle built around 1884 in Coventry, England. http://nms.scran.ac.uk/database/record.php?usi=000-180-001-123-C Looking at the bicycle in the background and the men with their bunnet’s on their heads the photo looks like the 1930’s to me I could be wrong. Jock Bayne was my paternal Grandfather’s nephew. I would very be interested in linking in with you to expand my family tree information. Four of John’s half-sisters moved to the USA in 1910/1920 and I am in contact with their descendants.